Fridays introduced their new beverage menu features concoctions to fit every bar personality in a media launch last March 22. 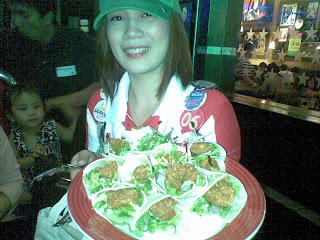 TGI Friday’s is well-known for popularizing flair tending, and hosted the first known flair bartending competition in the US since 1985. 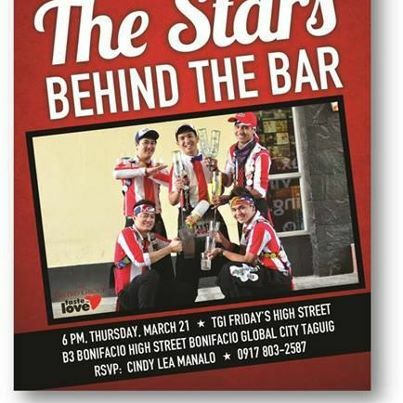 Join in TGIF as they salute the Stars Behind the Bar! These bartenders will dazzle you with flips, flairs, and bottle tricks as they prepare and promote new cocktail drinks that lighten your mood and loosen your tongue at you dine in with your special someone or friends. The contending bartenders underwent a rigorous round of auditions to qualify. Some of them were previous participants of the renowned Shake, Rattle, and Pour Bartending Championship. Adding to the excitement is the launch of the first leg of the Stars Behind the Bar tour, which includes a showcase of celebrity bartenders, free drinks, and a chance to learn basic flairs and cocktails. TGI Friday’s Stars Behind the Bar tour is made possible through partnership with Stolichnaya Vodka. Catch the tour at the following dates and locations: Bonifacio High Street on April 11 and 25, and May 9; Glorietta on April 12 and 26, and May 10; Mall of Asia on April 4 and May 16; Eastwood on April 5 and May 17; TriNoma on April 14 and May 4; Malate on April 18 and May 23; Alabang Town Center on April 19 and May 24; Tomas Morato on May 2 and 30; Robinsons Galleria on May 3 and 31. Get real deals this summer with TGI Friday's affordable drinks! Local bottled beers are priced from Php 125 and beer by bucket costs Php 350. You may order a refillable Mojito for only Php 295. 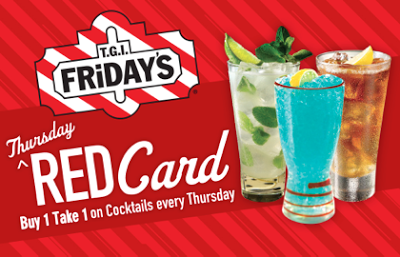 And the best part is that TGI Friday's Red Card will be made available by April! The said card is your passport to buy-one-take-one cocktails every Thursday. So go dine in at TGI Friday's and get your free Red Card. 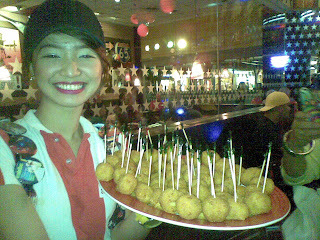 T.G.I.Friday’s latest promotion is part of the Bistro Group restaurant's group-wide Taste the Love campaign.